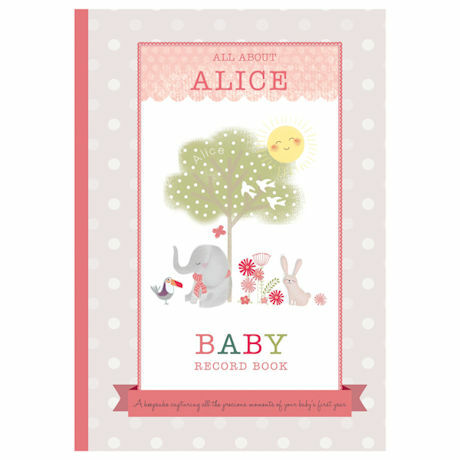 Create a treasure chest of memories in this beautifully illustrated baby record book. 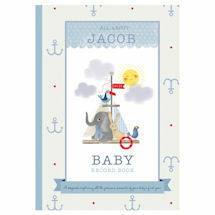 With classic nursery rhymes included throughout, each page has baby’s name printed at the bottom (up to 12 characters), and it also appears on the front cover. A personal message is also added on the opening page (limit 80 characters, including spaces). Each 8 1/2” x 11” hardcover book contains 80 pages that will capture the magic of a newborn’s life story. Arrives in a beautiful gift box. Allow 2-3 weeks for delivery. No rush delivery. Item can only be shipped within the Continental US.